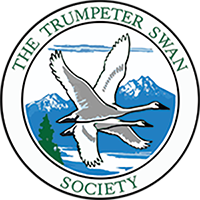 Since 1968 our staff, board and growing public membership have worked together to provide input on every significant management issue for Trumpeter Swans. We have a lot of in-house expertise and we network throughout the continent to build strong partnerships and share our expertise. Please visit our Swan Identification section for detailed information, photographs, and additional identification links.